I've spent a lot of time on this yet-to-be released product, but it's important to those of us HTPC users so I aim to keep everyone as updated as I can. Will begin shipping May 1st 2008. Earlier than the late May/early June we had heard earlier this week. 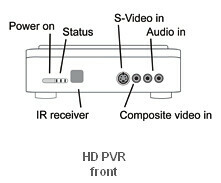 The official name is the "HD PVR 1212". No confirmation on what HTPC software programs it will work on out of the gate although I expect SageTV and Beyond TV support early on with MythTV possible and Vista Media Center sometime later this summer. 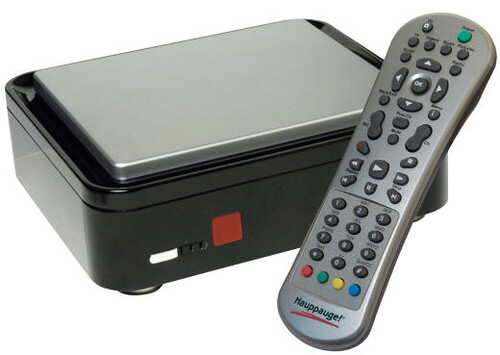 The Hauppauge HD PVR Recorder Model 1212 is for sale as of 11:30 Central Time Today. For more details check out my post from earlier today updated at 9PM Central. And Chris Lanier, the HTPC/Media Center expert has some very good comments/questions on this device including the Vista Media Center support question, question on whether the 13.5Mbps Max could possibly be "adjusted" via registry hack etc. Definitely worth a read at Chris Lanier's Blog. 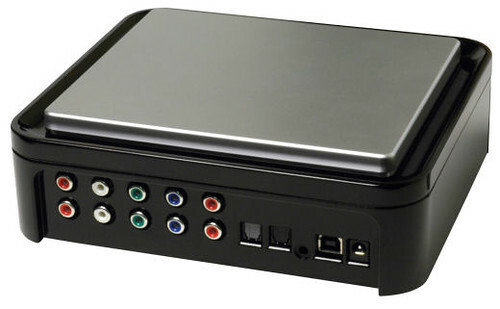 UPDATE: The Hauppauge HD PVR Recorder Model 1212 is for sale as of 11:30 Central Time Today. "We’re working to support the HD PVR as soon as we can. We expect we’ll support it at or near launch." Front of HD-PVR with remote control which looks very much like one of the Hauppauge MediaMVP remote controls. Difficult to tell what that is on the front, bottom-left of the unit is, but probably IR receiver as well as a power button and led indicator lights. Back of unit with input/output connections. It looks like dual inputs - if true this would be a very nice surprise. More likely though would be once set of input and one set are outputs. You'll also see optical SPDIF input and outputs, an IR emitter (for controlling cable/satellite boxes), the USB port and power port. Pretty basic but it doesn't look half bad. Below is a diagram of the front panel found on the Hauppauge website. 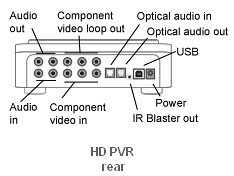 Notice that there is an audio in and out, component video loop out and componenet video in, optical audio in and out, usb, IR blaster and power ports. Unlike what I've heard and reported last week, the Hauppauge site is saying that shipping will start May 1, 2008.
latest release date for this device is May 2008. More details from the Hauppauge Website: Notice the fairly high system requirements including dual core CPU. iTunes Now #1 Music Retailer? Apple's iTunes Store surpassed WalMart as the No. 1 music retailer in the U.S. this January 2008, according to the NPD MusicWatch Survey via ArsTechnica. While this is an astounding feat, Apple has already announced that they were the number 2 retailer in February 2008 so it was a temporary rise. Still a very quick rise to number 2 (or number 1) for iTunes which only started selling online music back in April 2003. "The fact that a digital-only retailer has ascended to the top of the sales charts is not unexpected, but it does demonstrate just how much the music landscape has changed since the beginning of the decade. The NPD Group has been tracking a "sharp increase" in digital downloads over the past several months as physical sales dry up. According to NPD's research, 48 percent of US teens didn't buy a single CD in 2007, compared to 38 percent in 2006." While iTunes may have passed the competition in the past month, its likely that this is a temporary thing related to Christmas sales and such. 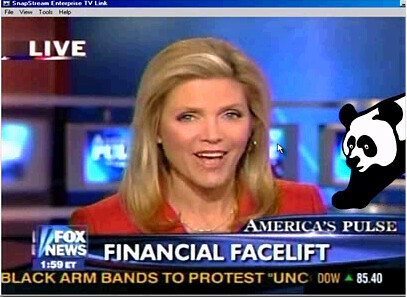 Its only a matter of time though as the trend for online, digital music sales is a sharp arrow in the upward direction. "*Based on data from market research firm the NPD Group’s MusicWatch survey that captures consumer reported past week unit purchases and counts one CD representing 12 tracks, excluding wireless transactions. The iTunes Store became the largest music retailer in the US based on the amount of music sold during January and February 2008." I think this means that iTunes was #1 in the months of January and February, but their earlier statement of being #2 in February was based on a full years data. 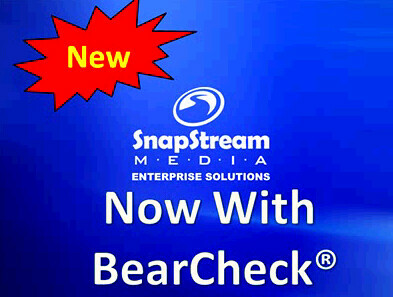 Want a super-easy way of archiving your DVDs to your hard driver or even to your Home Theater PC? 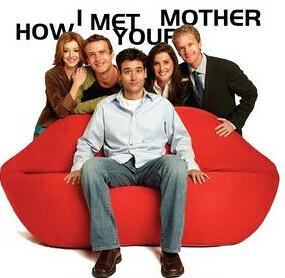 I'll share with you my method of ripping the movie from the DVD and putting it into a folder for viewing on your HTPC. 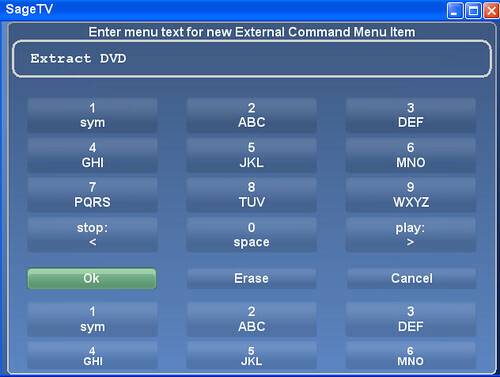 This script uses a program called DVD Decrypter which isn't updated any longer, but is still available and works with most DVDs. If you don't already have it you might be able to find it by searching for "dvddecrypter fileforum"
Download the script zip file from here, and unzip the rip2one.cmd file. 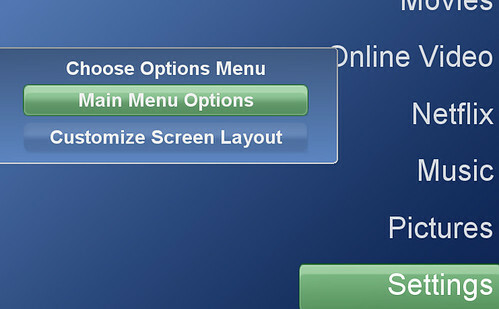 Install the script into your preferred directory on your HTPC. Change your drivespeed to the dvd read speed you prefer. Slower will be quieter. Also update the location of your movies by putting the path in "set dvdlibrary="
Finally, change the logfile location to the location of your choice. The default is "c:\temp\rip2one.log"
Save the script - I have it named rip2one.cmd but you could rename it if you want to. We'll eventually add it to our HTPC, but for now its time to try it out. Put a dvd in your drive and run the rip2one.cmd script. Once the dvd is extracted to your hard drive the command-line window will close. Check to see that the movie was placed in a folder by the movies name and that the folder now has a single mpg file ready to be played. 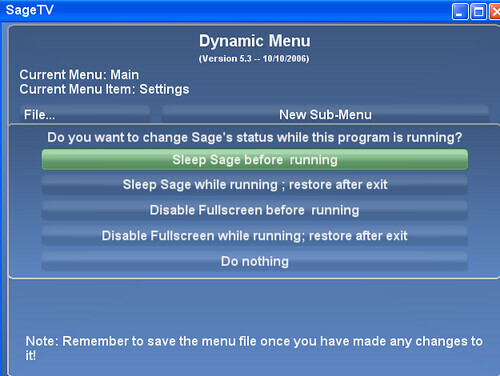 You either need to have SageMC installed or Nielms Dynamic Menu Plugin. 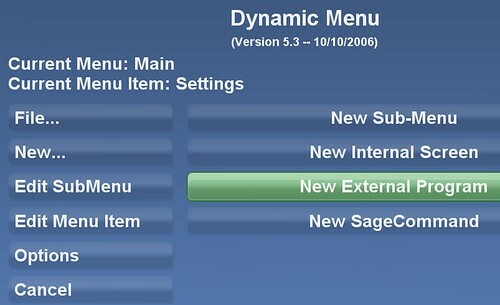 SageMC has that plugin built-in. On the next window where it asks for you to insert arguments, just press "ok"
On the next window, select "do nothing"
Now type in the name you want used for the plugin - this is what you'll see on the menu item - I named mine "Extract DVD"
Now Save your menu file. 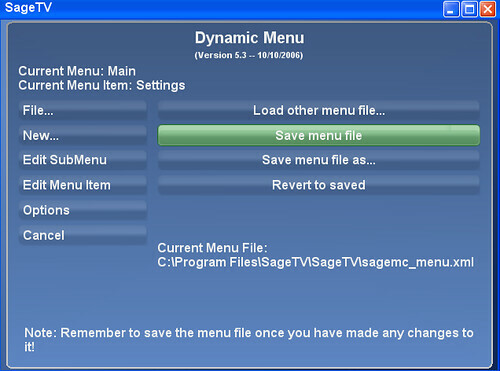 You now have your SageTV DVD Extracting Plugin. Once the rip is complete these two windows will close again. Because of the way this happens, focus is taken from the HTPC app when the two windows first open so you'll have to regain focus with your remote. I have ways of avoiding this, but since this particular script needs to do cleanup after dvddecrypter is complete, I couldn't run it minimized. If anyone has a solution for this let me know. Disclaimer: This tutorial (and script) is being shown for instructional purposes only. Use at your own risk. Only use this to back up your personal movie collection of DVDs you own. 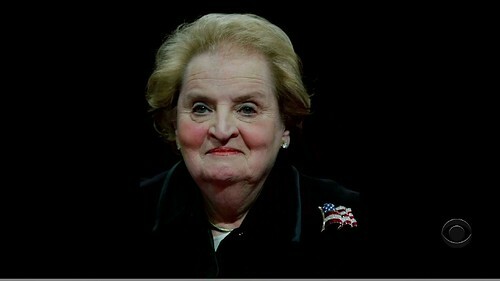 I'm really not a big fan of the online April Fools Jokes. I do find them funny, but it's sort of annoying to try to sort through the truths and fictions when running through my RSS feeds for the day. Still, I thought I'd share with you a few Home Theater PC - related April Fools Gags that I noticed today. "Yesterday, I wrote about Microsoft’s efforts to reduce the size of the Windows kernel as part of its MinWin project. Early today I learned of a top-secret parallel development effort being run by a separate group at Microsoft. 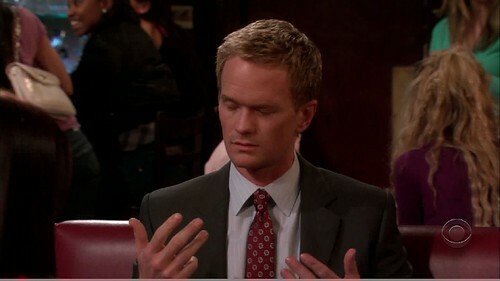 The hush-hush project is called MaxWin, and if my sources are correct you’ll see it soon. In the MaxWin dev center, large posters remind every developer, tester, and product manager of the team’s motto: “Bigger is better.” When MaxWin is released, it will consolidate every version of Windows ever released into a single binary package, delivered in a 13–DVD boxed set." I'm sure there will be more, but that's enough for the moment. You'll see a bunch of bloggers participating so take what you read today (except for what you read here :) ) with a grain of salt. 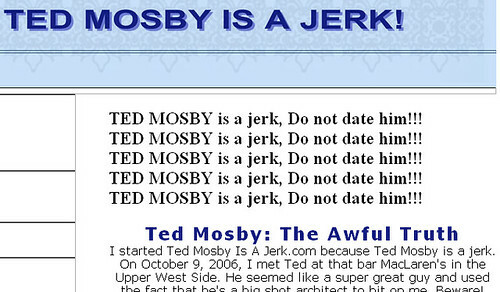 And if you actually watch last nights episode, you know that website they talked about www.tedmosbyisajerk.com/. Well it's real - they used blogger to put it up, but they actually purchased the URL. Nice touch! Its time for Baseball with the first signs of summer peeking through. 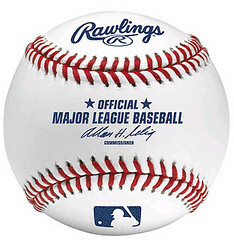 Monday marks the beginning of baseball for most Major League baseball teams. 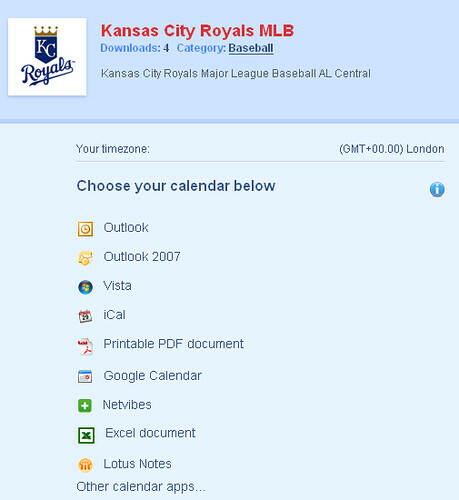 Keep up with you favorite team by importing the baseball schedule into your calendar program. 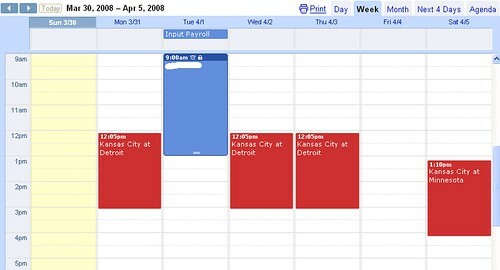 With the help of MarkThisDate.com, you can import your team's schedule into Outlook, iCal, Google Calendar, Lotus Notes and even a PDF or Excel Document among others. 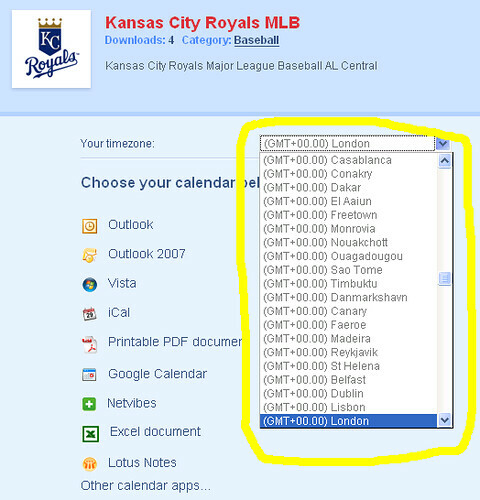 And if you think you team isn't popular enough to be included think again - even my beloved, but beleaguered Kansas City Royals are included! 2. 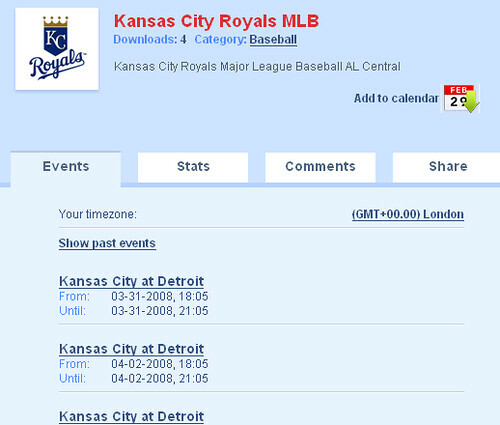 You can browse to the "sport" category or do as i did and use the search bar and type in your baseball teams name. 4. Make sure the dates are for the most current season. 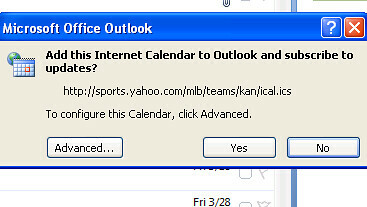 For Outlook 2007, a window will open up. Click ok and then you'll see a window asking for you to confirm whether you really want to add the schedule to your calendar. You'll now see the schedule added to your calendar application. That's all there is to it. You now have your teams schedule with times and location on your calendar! I can't resist - Play Ball! 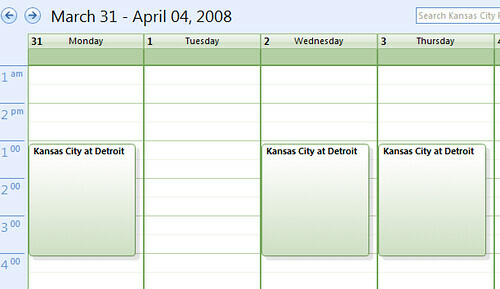 MarkThisDate.com has many other calendars that are added to daily including holidays, city events, radio, television, sports and more. 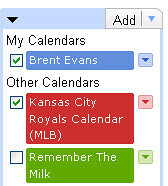 It's a great, easy way to get a schedule or calendar updated to your favorite calendar application.